On September 14, President Trump issued a Proclamation on Constitution Day, Citizenship Day, and Constitution Week, 2018. Our Founding Fathers recognized the important role intellectual property plays in promoting “the progress of science and useful arts…” and growing a vibrant economy. And so, at the USPTO we are proud to draw our mission and mandate from Article 1, Section 8, Clause 8 of the Constitution. As our citizens recover from devastating floods and storm damage in the Carolinas and elsewhere, I am reminded how blessed we are that our nation is built on such a strong foundation as the U.S. Constitution. Among countless other benefits, it provides a legislative body that can approve storm relief funding and an executive branch that can provide resources to rescue those in dire need. And, I think of all the remarkable technology that warned us of this storm, kept many safe as it raged, and continues to save lives in its aftermath—technology that would not exist without the freedom to apply the innovative spirit of the American people to serious challenges and problems. Which is why it is a wonderful thing for our nation to pause and consider the importance of the Constitution. It is even better that the work of this agency lets us consider that significance every day. 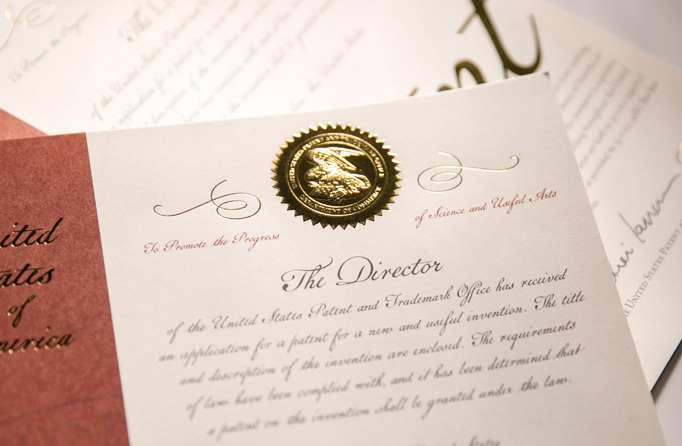 Indeed, the USPTO is among the most suitable of places to celebrate it, every day, as we work through the process that provides inventors and entrepreneurs the IP protections promised by this historic, cornerstone document. Of course, while at the USPTO we are a bit partial to Article 1, Section 8, Clause 8, we know the entirety of the U.S. Constitution is a remarkable document, as the USPTO Military Association reminded us when passing out pocket-sized copies of the Constitution on our Alexandria campus this week. I hope that wherever you are or whatever you are doing, you find a way to celebrate the amazing freedoms and protections provided by our Constitution.